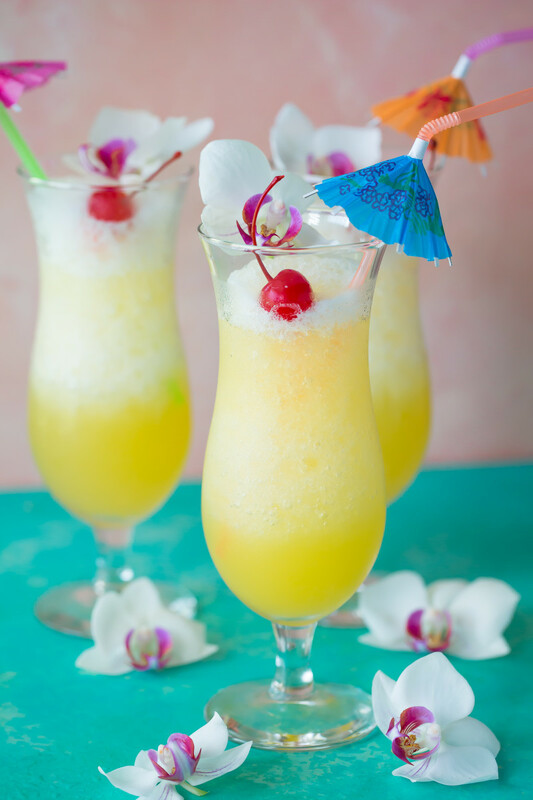 Do you have a favorite frozen cocktail? Do you prefer sugary sweet cocktails or cocktails where other flavors come through? 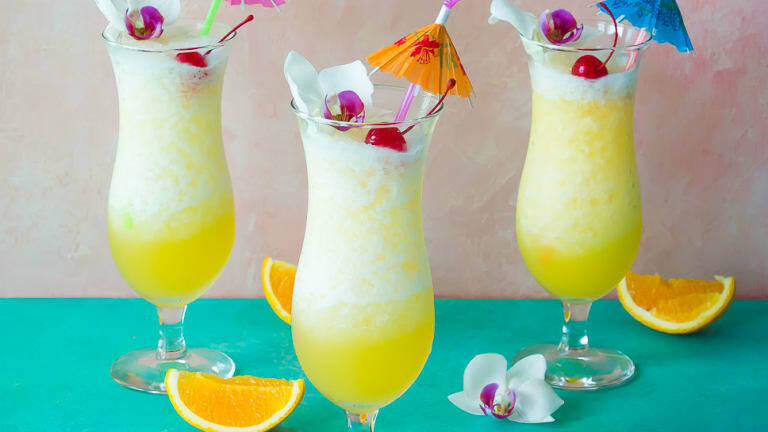 If you love frozen cocktails and a lovely balanced flavor where the rum shines through, this frozen mai tai cocktail is for you. 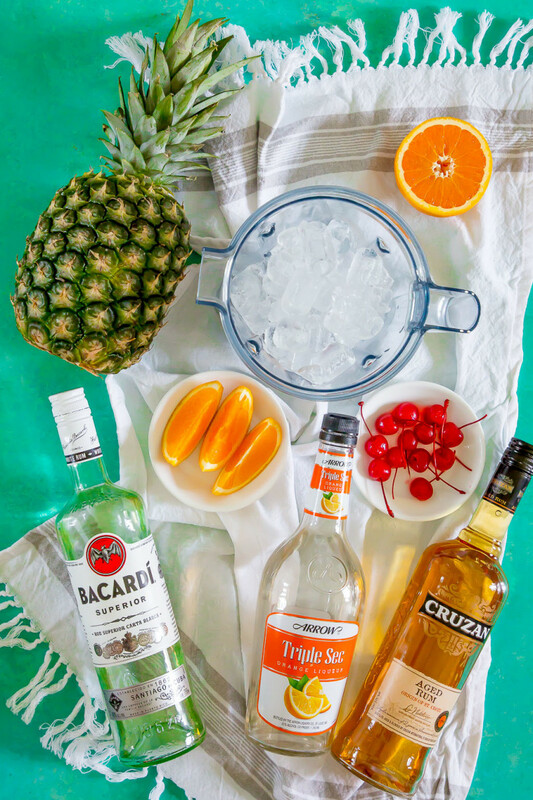 A lovely combination of sweet and fruity paired with the tropical flavors of two rums accompanied by orange citrus, give this cocktail its signature taste. Traditionally made with spiced and white rum along with orange curacao, this has to be one of my favorite cocktails. Unfortunately, I was unable to find orange curacao locally, so I substituted triple sec in my version. I honestly can&apos;t tell the difference. The remaining ingredients (pineapple juice and orange juice) can be freshly squeezed or store bought. The freshness of the squeezed juices takes this cocktail over the top. For convenience sake, the store bought versions are quicker, still delish, and, my usual go-to options. It&apos;s just easier. I&apos;ve seen mai tai recipe versions that include grenadine. However, this does mask the rum flavor and tips the cocktail to the sweeter side. If you like your cocktails sweeter, add the grenadine. It will also add a gorgeous pop of color to the hurricane glass. If you want to preserve the traditional flavorings of the cocktail, skip it altogether. 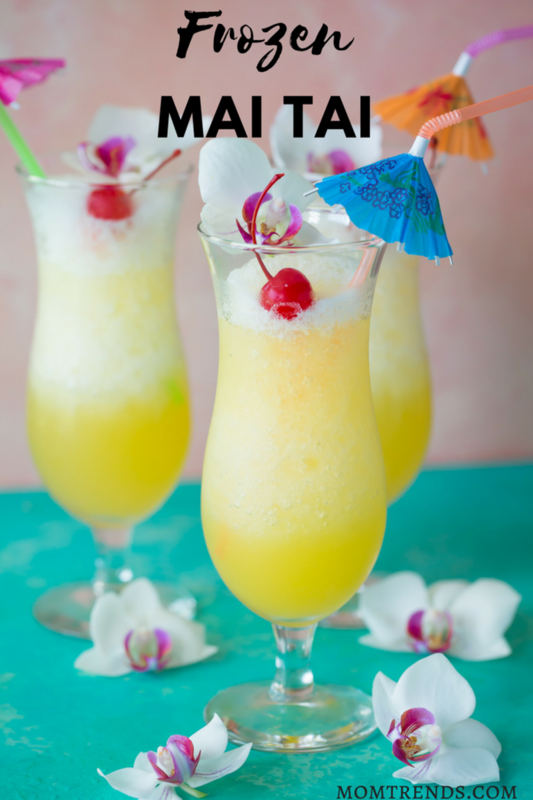 June 30th is officially National Mai Tai Day, so grab a girlfriend and make one (or a pitcher) today! Add all ingredients to a blender and blend until smooth and frosty. Serve in a hurricane glass and garnish with orange, pineapple, and/ or maraschino cherries. Love this frozen cocktail? Be sure to check out these other summertime favorites: Blue Heatwave, Watermelon Slush, Sparkling Summer Sangria.